If you’ve been watching The Walking Dead this season, you may have been praying that Rick Grimes would face more formidable opponents than a languid river of lumbering corpses and a whining town of ungrateful, milquetoast redshirts. 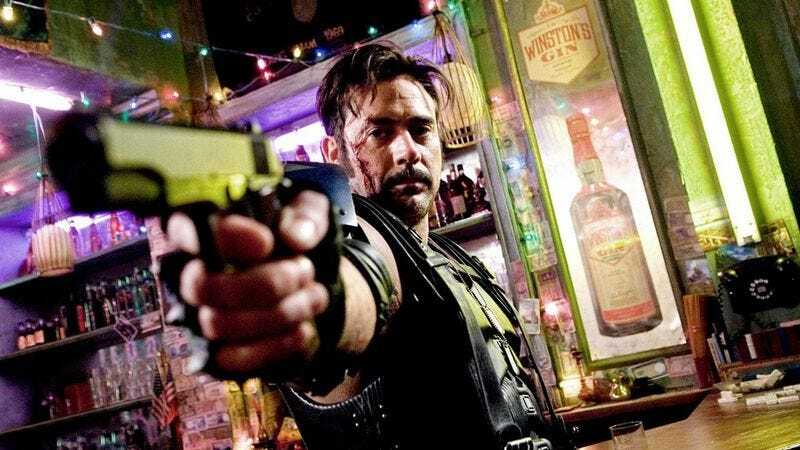 It appears that AMC has been listening to your prayers, and will deliver unto you a savior: TV Line is reporting that Jeffrey Dean Morgan will be playing Negan, a character with substantial agency who figures prominently in the The Walking Dead’s source material. Fans of the comics will recognize Negan as the charismatic, ruthless leader of a group known as the Saviors who introduces himself by smashing Glenn’s head in with a baseball bat dubbed “Lucille.” What follows is an extended story arc that sees Rick Grimes and the people of Alexandria being crushed under the violent boot heels of Negan’s thugs. Rumors have already been circulating that Negan would appear towards the end of this season; this announcement provides confirmation, and gives a face to the used car salesman-turned-bloodthirsty, head-melting warlord. Of course, there have already been a ton of changes between the comics and the show, and it certainly seems like Negan will need to find somebody else to face-bludgeon. How Negan and his Saviors will be adapted to AMC’s version will become more clear next spring, when The Walking Dead returns from hiatus.